Fluffy fur, a supple body, and a whimsical personality that often confuses people--cats are animals that have fascinated many people with their countless cute traits! We bet many of you make it a habit to go straight home from work or school to meet your favorite cat or to greet a stray cat that you happen to run into while walking around the city. Right? In Japan, Cat Day falls on February 22 because the pronunciation of the numbers "222" (ni ni ni) resemble a cat's cry (Nya Nya Nya; Meow Meow Meow). 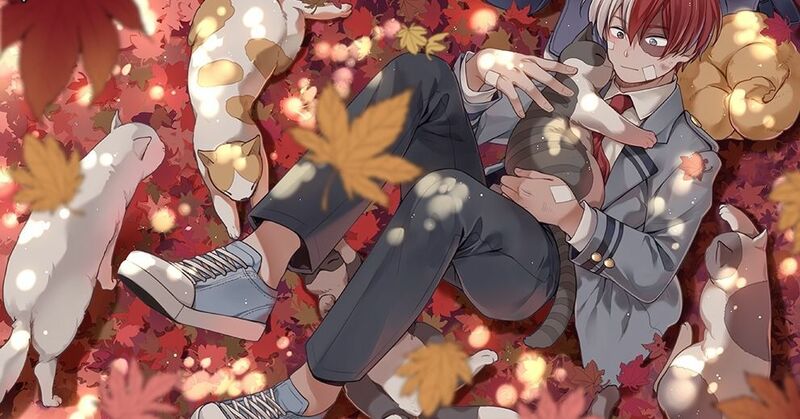 In association to the auspicious Cat Day, today we're featuring illustrations of characters with cats. Why don't you take this moment to bask in fluff and happiness?